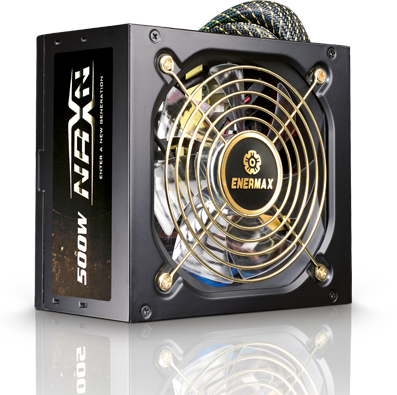 The Enermax NAXN Basic series is one of the best products when it comes to price performance. It offers a stable two rail 12V power output in combination of a quiet 12 cm fan. 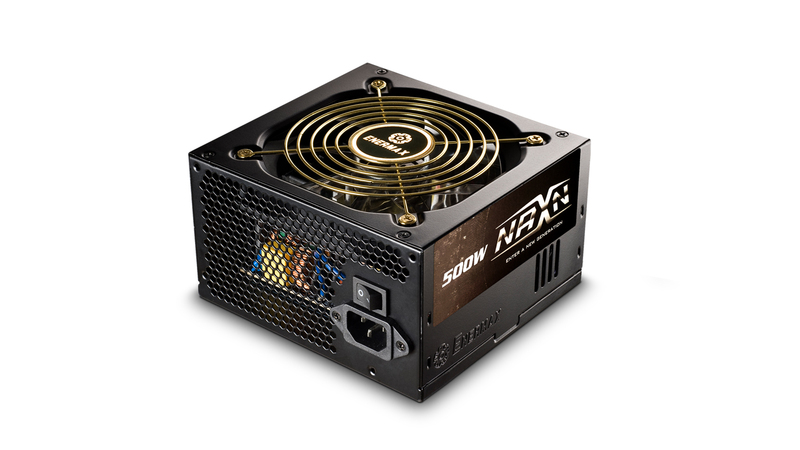 NAXN Basic helps systems to meet the EU eco-design directive 2010 ErP Lot 6 (< 1W in standby mode*) due to a high-efficient 5V standby (+5Vsb) circuitry. One 6P and one 6+2P (8P) PCI-E connectors and a multi-rail design with two stable 12V rails to safely empower high-performance processors and graphics cards. The patented AirGuard air-intake with optimal aero-dynamical design reduces noisy air turbulences. 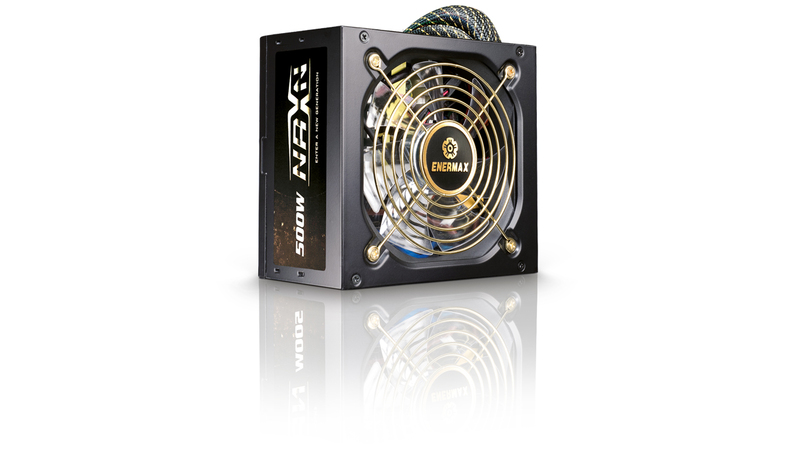 An ultra quiet 12cm fan with intelligent RPM control guarantees cool performance and silent operation. 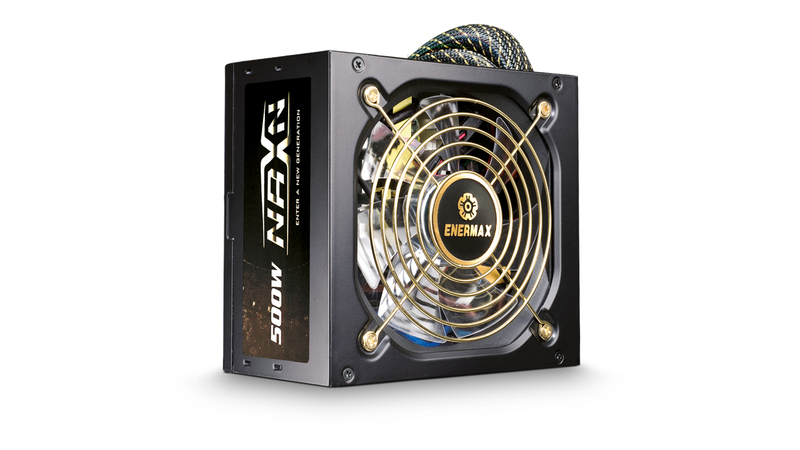 Enermax uses high-quality components for maximum stability and durability. Enermax SafeGuard, the multiple protection circuit that keeps the power supply and the system safe from damage by short circuit (SCP), over voltage (OVP), under voltage (UVP), over power (OPP) as well as surges and inrush current (SIP). *SCP: short circuit protection, OVP: over voltage protection, UVP: under voltage protection, OPP: over power protection, SIP: surges and inrush current protection.